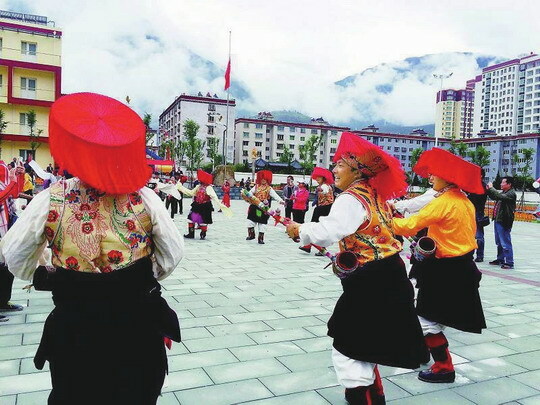 Bathang has been hailed as the "hometown of Xianzi", a kind of folk art that combines song, dance, and music. 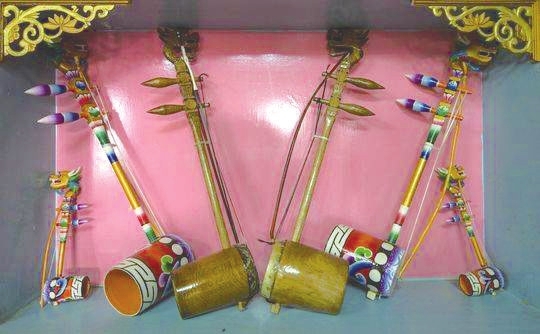 During performances, a man will play a kind of Tibetan stringed instrument while singing and dancing, and women will wear long sleeve blouses and dance to the music. An elderly man named Tashi arranges musicians to prepare for the dance while telling reporters that the Bathang Xianzi has been circulating in this area for thousands of years. At weddings, funerals, and important life events, people will dance to the Bathang Xianzi, and sometimes they will go on all night. "The traditional Bathang Xianzi players wear fur hats, but nowadays since we need to protect animals, we generally don't wear fur hats," dancer Lobsang Dawa said. Bathang County is a farming and nomadic county located in Garze Tibetan Autonomous Prefecture, southwest China's Sichuan Province. Bathang Xianzi players usually wear light, cool hats on hot days and felt hats when the weather is cold.